I kept two dogs from the same litter in the hope that at least one of them would finish under the 20" (approx 51cms) measure necessary for coursing. In the event, both did. ‘Tosh made his show debut at Northern Counties, winning Maiden and Best Dog Puppy, following this up with a number of Best Puppy awards and spectacularly, a Reserve CC from Minor Puppy Dog. Opinion was always divided on whether he or Splash was the better dog: after Splash won his second CC at Paignton, ‘Tosh took the honours the following week at Peterborough. 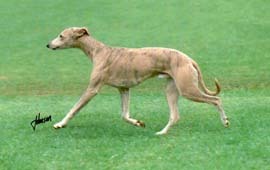 On the coursing field, they divided the East of England WCC Puppy Cup (and brother, Moonlake In the Swim, won the Whippet Coursing Club's puppy trophy). 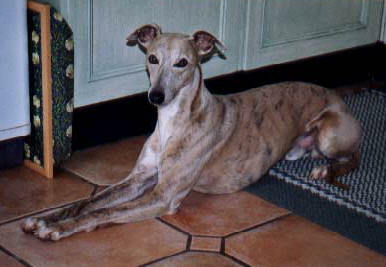 It is even harder to campaign litter brothers on the coursing field than it is in the ring because being entered depends on a draw and when Splash put himself out of the running with a torn gracilis muscle, ‘Tosh still had to share the opportunities with Fidget, Phoenix and Mackerel, none of whom were ready to retire. 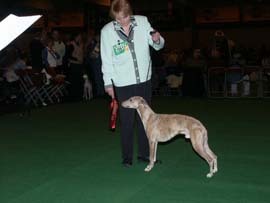 When it was his turn, he proved hard to beat and is one of only four dogs who have won both the major coursing dog trophies - and is certainly the only one with a CC to have done so. 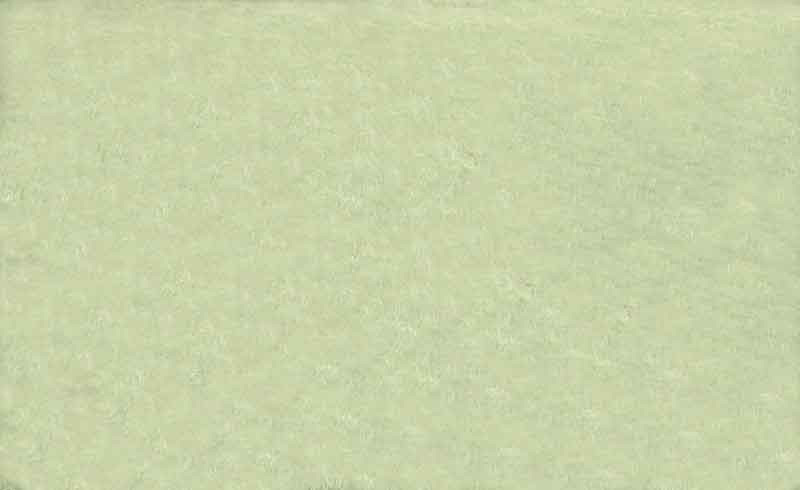 In 2005, his seventh season, with his elders almost retired and Farthing in season, ‘Tosh had more runs than he had ever had before, usually getting through at least one round and winning the East of England veteran stake and being drawn from another final, finishing with three meetings in eight days before ceding his place at the last meeting of all to Fidget and Farthing. 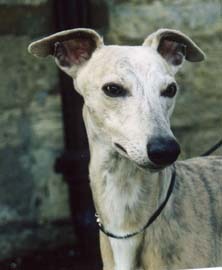 When coursing was banned, ‘Tosh found his amusement with the rabbits at home and was more efficient than the Heythrop at keeping the paddocks fox free. He died in 2011 from lymphoma.